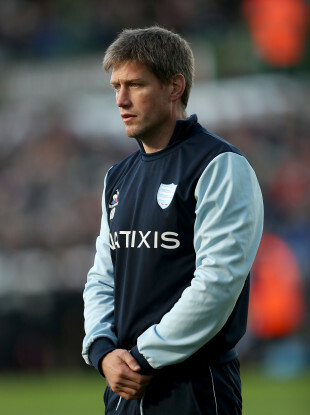 Ronan O'Gara during his time with Racing 92. FRANCE ARE KEEN to bring Ronan O’Gara onto their coaching staff for the upcoming Rugby World Cup, according to L’Equipe. The 42-year-old is currently working as backs coach with New Zealand side Crusaders and wouldn’t be available until July if they were to progress to the finale of the Super Rugby season. But the French publication reports that France want O’Gara on board as a consultant under head coach Jacques Brunel for the upcoming tournament in Japan. Brunel’s side won just two of their five Six Nations games to finish in fourth place in the table. The former Ireland out-half spent four years in France working as assistant coach at Racing 92. O’Gara has enjoyed considerable success in his coaching career so far. Racing won the Top 14 title and reached the Champions Cup final during his tenure there, while Christchurch club Crusaders retained their Super Rugby title in 2018 and are favourites to go all the way again in 2019. Email “O'Gara linked with French coaching role for World Cup”. Feedback on “O'Gara linked with French coaching role for World Cup”.